Most weeks I try to cook all of my meals on Sunday. If that doesn’t happen, I have to look for recipes that are quick on weeknights. Now, quick could mean a bowl of cereal or a cheese quesadilla or something equally easy but not as tasty as a panini! 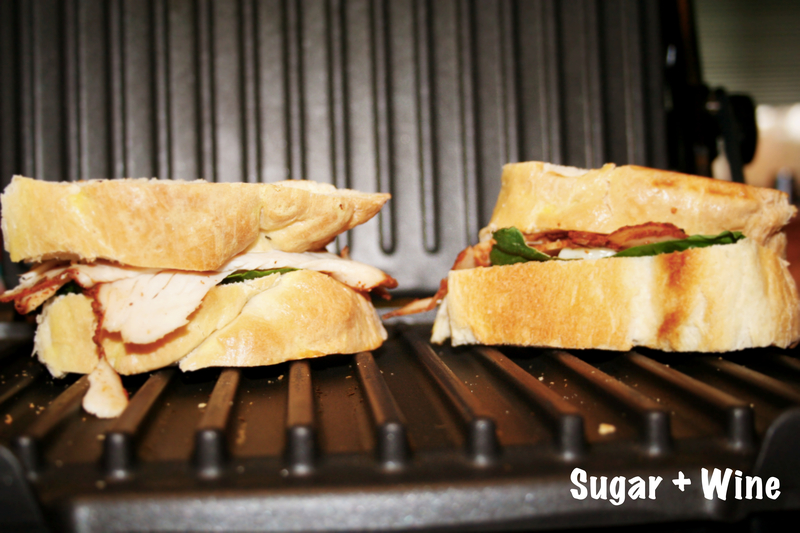 I have a panini grill but you can use a panini press or even another skillet on top of your sandwich. So, no excuses for a boring turkey sandwich that you’ve had about a thousand times—you have everything you need already in your kitchen for a quality, grown up sandwich (that even your kids will like). One of my favorite food bloggers, Lauren’s Latest, has a ton of great, easy recipes with basic ingredients. She came up with the Cajun Turkey & Brie Panini. Doesn’t that just sound awesome? Read it then make it. You’ll thank me. This one is pretty basic to make. You’ll need to gather your ingredients and heat your panini grill or skillet. Spread the butter on your bread, which will be the outside of the sandwich. Pile the ingredients between the bread and place on the grill or skillet. You will cook it until it is browned, which is about 1 to 2 minutes per side. Then, remove your sandwich, place it on your plate and enjoy warm! **Note: I made my own French bread. I highly recommend making your own bread if you have the time. If you are interested in the recipe, I would be happy to send it along to you. Just leave a comment below.